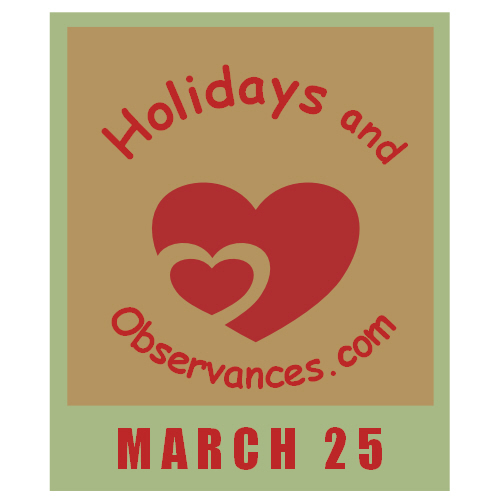 March 25 Holidays and Observances, Events, History, Recipe & More! The Astrological Sign for March 25 is Aries. March 25, is National Medal of Honor Day. The Medal of Honor is the nation's highest medal for valor in combat that can be awarded to members of the armed forces. Above, is America performing their hit A Horse With No Name, from their debut album America which topped the album charts on this day in 1972. It was their first single, and their most successful single that eventually was certified gold.